A GROUP of tradies are being hailed heroes after they redirected traffic to save the life of an autistic girl who wandered onto a busy Coomera road yesterday. 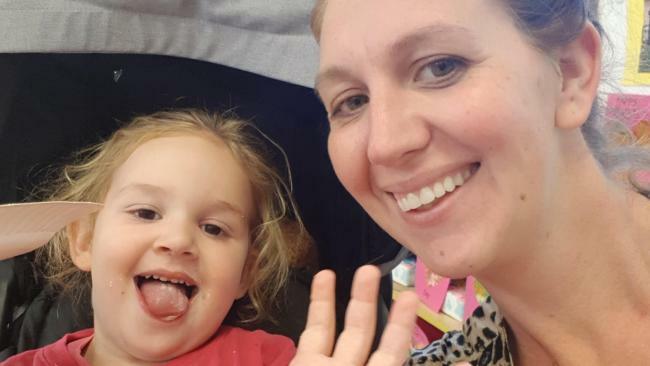 Little Stella McNeal, 4, has a form of non-verbal autism and managed to walk off from her family home in Coomera as her parents were packing up their belongings to move home. When Rachel McNeal discovered her adventurous daughter was missing, she and husband Neal flew into a panic and launched a frantic search for the preschooler who is unable to speak or respond to speech. "We sprinted in opposite directions. Luckily, Stella was found only 10 minutes later on the road at Azure Way where brave tradesman working on a nearby site quickly leapt into action. "Nearing the main road I hear a man from a distance call out, slow down," she said. "I sprinted in the direction to find tradies from a nearby construction site directing traffic and trying to lure Stella to safety. Once they saw me, they called out to me. "I scooped Stella up with the tightest hug." The tradies, who have not been named, had walked onto the road and were directing cars to slow down to avoid hitting the child. 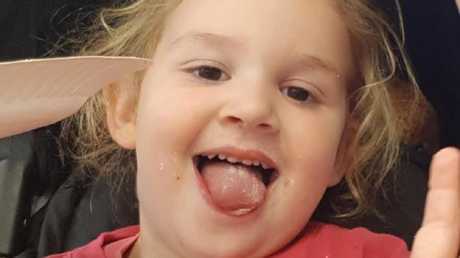 Stella, 4, was saved by some nearby tradies after going for a solo walk at Coomera. "The workers were able to guide her off the road, and even redirected traffic to protect our girl which is quite difficult because she is non-responsive," she said. "We are so thankful to these guys and just want to give them the recognition they deserve. "They were so amazing and were fathers themselves and offered so much support to me. 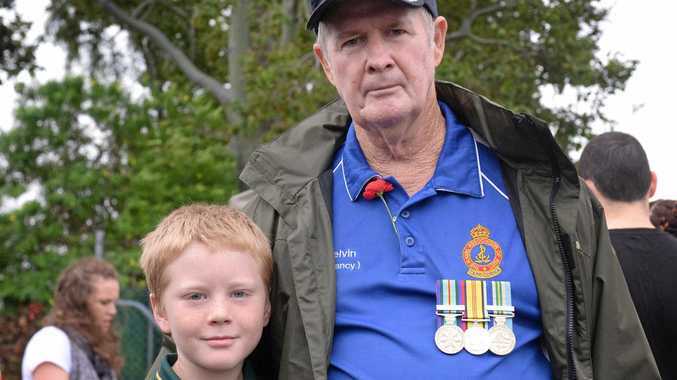 "This morning I thanked my heroes by sending a big subway breakfast to them and putting a bar tab on at a local pub." The mum explained Stella required a carer at all times for her safety as the child "did not understand danger". She said her daughter's developmental disorder affected sensory processing, communication and social interaction and said the four-year-old was not independent with any activities of daily living. "Stella is a happy, adventurous, bubbly little girl who we love dearly and wouldn't change one thing," she said. "We celebrate Stella's achievements and help with her challenges just like any other parents."